For the past year Madlib has been mixing up the medicine with his Medicine Show series, giving us sounds from Brazil and Africa, taking us throw the chambers of Jazz and the gritty disco of Black Soul. Madlib's Medicine Show carries on with its 11th installment, Low Budget High Fi – an unearthing of salvaged music from a fire. Low Budget High Fi is Madlib's unofficial return to hip hop, as the 28 tracks feature appearances by AG, Guilty Simpson, MED, Oh No, Strong Arm Steady and others. 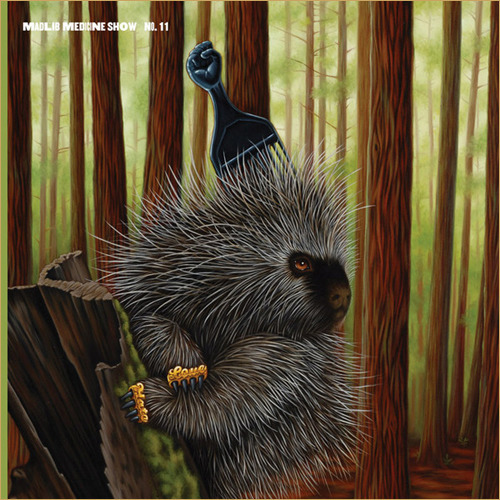 Many of the tracks included on this record are from salvaged master tapes from a fire that nearly wiped out the Loop Digga's catalog, one of which is a track from the never-realized sophomore album by Jaylib, Madlib's collaborative album with J. Dilla. Get Low Budget High Fi here, but sorry, the 3LP is sold out for the time being.